We are currently living in a fast paced life. The expectations from customers and stakeholders are always “Give it to me Yesterday”. 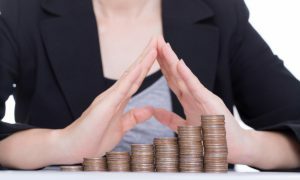 Regardless of the change in the business, Work culture, Home or social life; there are basic management and leadership skills that are needed to navigate through the matrix and manage conflicts. 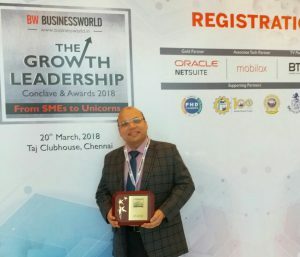 There may be enough “gyan” coming around the world to talk about context based leadership and management. But, there is a treasure hidden inside our roots and the treasure is not new to us. One of the Identity of India is great epic Mahabharath. 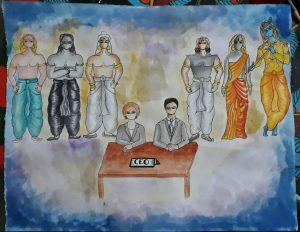 Mahabharath has combination of balancing across multiple conflicts and how to manage the expectations across stakeholders. The basic essence of management and leadership can be co-related by known characters. 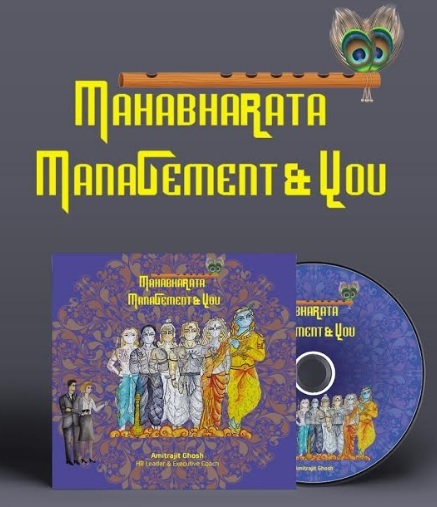 Mr. Amitrajith Ghosh , budding author and executive coach has launched a new audio release called “Mahabharath, Management and You”. 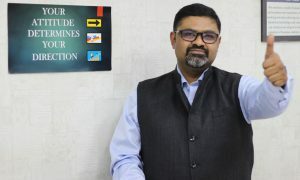 Mr. Amitrajit Ghosh, with more than 2 decades of experience in leadership role. He is currently heading the HR for a leading Chemical MNC in India. 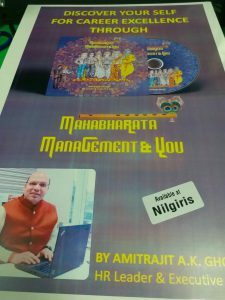 Amit has mapped the current management styles, Context and Managing expectations to each of the key characters of the Mahabharath. The beauty of MMY is it’s simplicity. MMY is based on the premise that all 6 characters are present in each of us and hence it is important to be aware of the same and hence based on the quality, one needs to either nurture or correct that . MMY through it’s characters explains that just having a brilliant idea doesn’t lead to success but there’s something more than that you need. Karna and Ekalavya were equal if not better than Arjuna, but it’s Arjuna who earned the reputation of the best Archer, why? 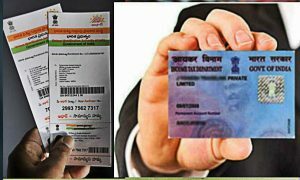 MMY will give answers to questions as these and many more. MMY is available in all Nilgries Outlet and amazon. We have a scheduled an interview with Mr. Amitrajit Ghosh on relevance of Startup, Studentrepreneurs and work life Balance. We greatly appreciate questions from our audience, which may be addressed by the author.